Over the past century, the rise and fall of economic policy orders has been shaped by a paradox, as intellectual and institutional stability have repeatedly caused market instability and crisis. To highlight such dynamics, this volume offers a theory of economic ideas in political time. The author counters paradigmatic and institutionalist views of ideas as enabling self-reinforcing path dependencies, offering an alternative social psychological argument that ideas which initially reduce uncertainty can subsequently fuel misplaced certainty and crises. 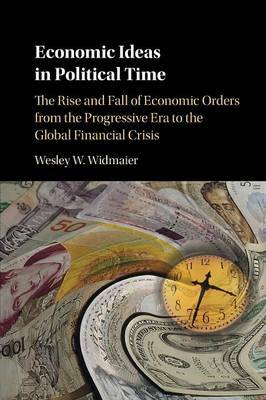 Historically, the book then traces the development and decline of the progressive, Keynesian, and neoliberal orders, arguing that each order's principled foundations were gradually displaced by macroeconomic models that obscured new causes of the Great Depression, Great Stagflation, and Global Financial Crisis. Finally, in policy terms, Widmaier stresses the costs of intellectual autonomy, as efforts to 'prevent the last crisis' have repeatedly obscured new causes of crises.